Named the Best Dentist in Ventura County in 2011, Mark Weitzman D.D.S. 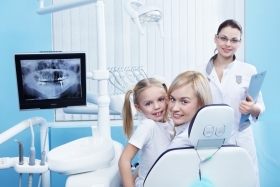 is the dentistry office to choose as your family dental care provider! From the moment you and your family step through our doors, you will receive individualized service and attention. From addressing your concerns about your oral health to customized treatment for your children, we strive to make our dental practice the ideal environment for you and your family today and for years to come. 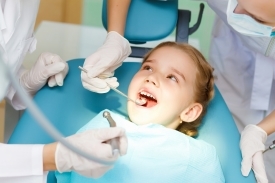 We are your one-stop shop for virtually every dental need. Mark Weitzman D.D.S. provides a comfortable and stress-free dental environment that is suited for every family member, including children and adult patients alike! We make every effort to make your experience as worry free as possible. We provide honest pricing, helpful staff, and child-friendly waiting areas so that you look forward to coming to our office. Call us at (805) 295-8896 to make an appointment with our Ventura dentist! Your smile deserves a gentle touch! As a master ceramist, Dr. Weitzman is proud of the high-quality products we offer to our patients. We are fully familiar with the materials that are used in our field, including mercury-free fillings, porcelain veneers, and implant dentures, as well as state-of-the-art ceramic crown restorations. Our Ventura County family dentistry practice perfectly combines functional oral health and aesthetics. In fact, Dr. Weitzman has changed the way his patients view dental and cosmetic dentistry procedures. Your dental procedures no longer have to be painful or harsh. At Mark Weitzman D.D.S., your dental needs can be treated with some of the most advanced materials and techniques available. Since 1991, we have dedicated our practice to providing high-quality services that always exceed patient expectations. Our surgeons and dental professionals do not let a patient leave without their 100% satisfaction and our full approval. Every final product that leaves our office is approved by our lead expert, Mark Weitzman D.D.S. For more information about our Ventura family dentistry services, contact Mark Weitzman D.D.S. to schedule your appointment. We also offer free second opinion consultations at your request, so do not hesitate to call us today.